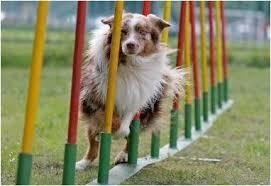 Dog agility is a dog sport in which the handler directs a dog through an obstacle course in a race for both time and accuracy. 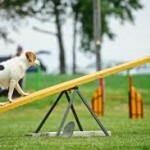 Dogs run off-leash with no food or toys as incentives, and the handler is not allowed to touch the dog or the obstacles. 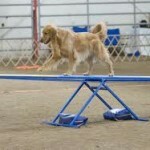 Consequently the handler must rely on their movement and verbal cues to direct the dog, requiring both training and team work. Agility training involves both training the dog to perform the obstacles as well as training the handler how to communicate with the dog. Everybody! 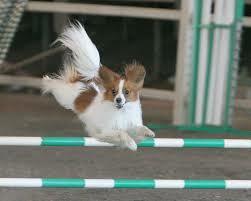 Agility is open to all dogs, regardless of size or breed and both young and old, athletic and, well, not as athletic! 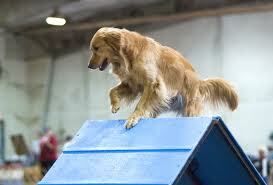 Agility promotes an incredible bond between the dog and handler. 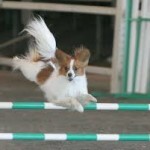 The time spent training truly enhances your relationship with your dog and open doors to a more positive approach to all training. 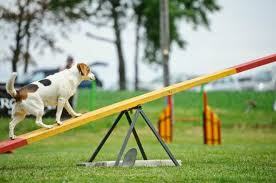 Often it leads to a better behaved dog who is easier to live with because it exercises both body and brain! Plus agility is tons of fun, the courses are never the same and there is always a lot of strategy involved. 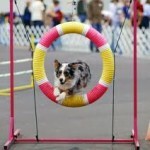 We also have a real sense community amoung agility competitors and it is a great way to connect with other dog lovers. 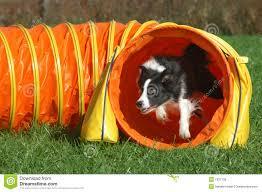 A dog who is going to play with agility obstacles needs a certain level of stimulus control, or self-control. 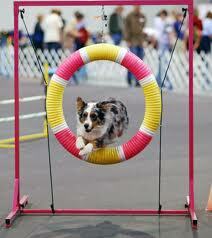 Attention, the ability to “watch” or pay attention to the owner is essential. 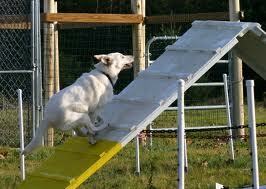 A dog should have a basic understanding of how to learn. 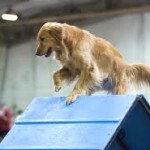 Skills which are very helpful are basic targeting skills, a reliable recall, a basic but stable sit, a wait, a down, the ability to make and hold eye contact or a “watch” and the ability to function/learn with simple distractions. 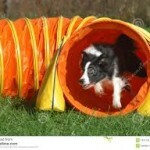 Agility for Fun: A 6 week course for Pet Dog Owners who may not want to compete but still want to play at agility. 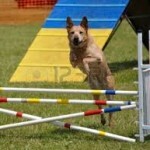 This class offers introductions to most of the obstacles and builds up to 3-4 sequence patterns. 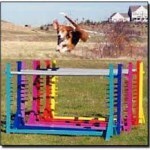 It is a great way for beginners to learn obstacles and “get their feet wet” in agility. 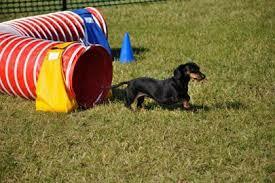 The class moves along quickly. 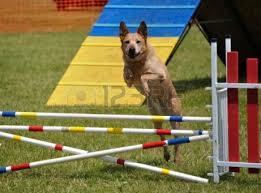 You should have a way to do some practice at home, tho it is not necessary to own all the agility equipment. 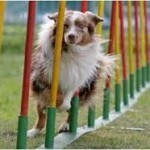 This class can be repeated if you want to continue to play with agility. 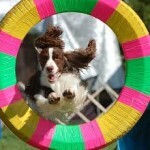 For Those Who Want to Compete: Agility 1, 2, and 3 are 3 separate courses of 6 weeks each. 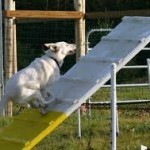 It is assumed that your dog already has experience with the obstacles. 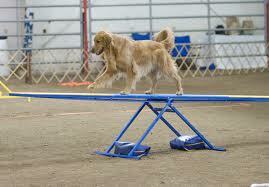 We begin with shaping jumping for turns and then move onto starts and footwork. 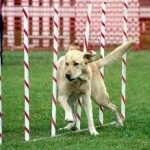 The 3 different levels focus heavily on the skills/footwork needed to be successful in running an agility course in competition. Information to help prepare you for competition, such as how to walk and memorize a course, what to take to a competion, how to locate competions, learn the rules, etc are all provided. 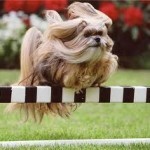 These classes are offered upon request, thus not shown weekly on my calendar at this present time. 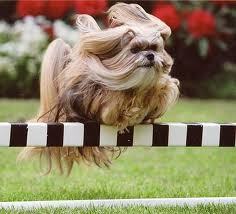 If you’re wanting these classes, just phone me. Private & Semi-Private Lessons: Available by appointment. 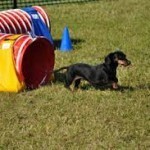 Punch cards are a possibility during the nicer weather for those who have experience and just want to come and have practice training sessions with their dog without formal instruction.